On 21 November the Supreme Court handed down judgment in the joined cases of Al-Sirri and DD, both of which involved the interpretation and application of the exclusion clauses of the Refugee Convention. For a case involving “terrorism” and “asylum” as key issues, it has received surprisingly little media attention. 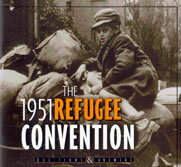 The exclusion clauses of the Refugee Convention operate to deny refugee status to those considered undeserving of international protection: those in respect of whom there are serious reasons for considering they are guilty of war crimes and crimes against humanity; of ‘serious non-political crimes’, or of acts ‘contrary to the principles and purposes of the United Nations’. Underlying the exclusion clauses is the concern of those drafting the Convention to ensure that the perpetrators of grave crimes could not use it to escape prosecution. Contrast the position in respect of Article 3 of the European Convention on Human Rights. The European Court of Human Rights has upheld the absolute nature of the obligation to provide protection from refoulement to all those who are at risk of “torture or inhuman or degrading treatment or punishment” – irrespective of how abhorrent their conduct. As such, Article 3 of the ECHR has created a safety net for some excluded persons. Exclusion from refugee status has serious consequences for the individual concerned, notwithstanding that refoulement to a country of persecution is prevented by Article 3 ECHR. It denies them the rights and entitlements of refugees such as the right to work, housing and social support. States struggle to find an appropriate way to deal with those who satisfy the requirements for exclusion but are prevented from being removed by Article 3. Although recent developments have provided for the prosecution of those committing Article 1F crimes in many more situations, it is rare in practice. Both appeals were concerned with Article 1F(c), which excludes from refugee status “any person with respect to whom there are serious reasons for considering that…he has been guilty of acts contrary to the purposes and principles of the United Nations”. Al-Sirri, an Egyptian citzen, arrived in the UK in 1994 and claimed asylum. His claim was turned down on the basis that Article 1F (c) of the Refugee Convention applied to him. He was thereafter granted successive periods of discretionary leave on the grounds that returning him to Egypt would breach Article 3 of the ECHR. Following the grant of discretionary leave for an aggregate period of over a year, Al-Sirri exercised his right in law to appeal against the decision to refuse him asylum. The facts relied on by the Home Secretary when resisting his appeal included his possession of and contribution to books connected with Al Qaeda and other proscribed organisations and his alleged involvement in the murder of General Masoud in Afghanistan in 2001. The Home Secretary was prevented from relying on his two convictions in Egypt for terrorist offences because the evidence supporting them was obtained by torture. The Tribunal dismissed his appeal but the Court of Appeal remitted his case back to the Tribunal for fresh consideration. Notwithstanding their decision, Al-Sirri appealed to the Supreme Court on several points arising from the Court of Appeal’s judgment. The first point was whether or not an Article 1F is aimed only at “state actors” (people in some way abusing the power of a State). In the Court of Appeal, Al-Sirri and UNHCR argued that it was aimed only at “state actors”, however the point was conceded in the Supreme Court in light of the decision of the Supreme Court of Canada in Pushpanathan and the recent decision of the Court of Justice of the European Union in Bundesrepublik Deutschland v B and D. This is a significant development in the international case law that runs counter to the consensus of academics and of UNHCR’s previously strongly held view. The second point was whether all acts defined as terrorism by domestic law are, for that reason alone, acts contrary to the purposes and principles of the United Nations or whether such activities must constitute a threat to international peace and security or to the peaceful relations between nations. In recent years, terrorism has contributed to an increasingly hostile attitude amongst States toward asylum. The perceived link between terrorism and asylum is demonstrated by the fact that, since 1994, a number of UN General Assembly declarations have urged states to refrain from granting asylum to terrorists and prevent refugee status being abused by involvement in terrorist activity. States have responded by interpreting the exclusion clauses more expansively and applying them more frequently. The Home Secretary argued that because the United Nations has condemned terrorism as contrary to its purposes and principles but has not defined it, Member States are free to adopt their own definition. Therefore, acts falling within the domestic definition of terrorism (which in the UK has been criticised as being inappropriately broad) would fall within the scope of Article 1F(c). Interestingly, this was a more ambitious stance than was taken in the Court of Appeal, where the Home Secretary did not dispute that the scope of Article 1F(c) was not as wide as the domestic definition of terrorism. Al-Sirri relied on guidelines issued by UNHCR to the effect that an act of terrorism can only be contrary to the purposes and principles of the United Nations if it impacts in some significant way upon international peace and security. The Court found that the phrase “acts contrary to the purposes and principles of the United Nations” must have an autonomous meaning in the Convention. It decisively rejected the argument that Member States are free to adopt their own definition of terrorism. It would lead to differing application of the exclusion clauses between States, with resulting protection gaps. It is also questionable whether exclusion is appropriate for some of the many vaguely defined preparatory, ancillary, inchoate or group-based offences enacted by States since 11 September 2001. “Article 1F(c) is only triggered in extreme circumstances by activity which attacks the very basis of the international community’s co-existence. Such activity must have an international dimension capable of affecting international peace, security and peaceful relations between states, as well as serious and sustained violations of human rights would fall under this category”. Is it sufficient to meet the requirement of an “international dimension” that actions are taken in one state to destabilise the government of another? The Court decided on this third point that “simply being in one place and doing things which have a result in another” may not of itself be sufficient. The test is “whether the resulting acts have the requisite serious effect upon international peace, security and peaceful relations between States”. DD, an Afghan citizen, arrived in the UK in 2007 and claimed asylum. DD had been engaged in fighting against the UN-mandated International Security Assistance Force (ISAF) and as a result, his asylum claim was turned down on the basis that Article 1F(c) applied to him. The question for the Court was whether armed insurrection against UN-mandated armed force supporting a government falls within Article 1F(c). DD argued that armed attack against forces operating under and carrying out a UN mandate does not, without more, engage Article 1F(c). ISAF was an armed force under the lead command of individual nations authorised by the UN from 2001. It was distinct from the United Nations Assistance Mission in Afghanistan (UNAMA), which was a peacekeeping force established in 2002. The argument was based upon the distinction between ISAF and UNAMA and the applicability of different laws to each as a result. The Supreme Court agreed that the protection for ISAF against attack was not the same as for peacekeeping forces but found that this was not material to the issue under Article 1F(c) of the Refugee Convention. The question whether attacks against ISAF fell within Article 1F(c) which was to be resolved under the same principle in paragraph 17 of the UNHCR Guidelines. Applying this principle, the Court reasoned that fundamental aims and objectives of ISAF accorded with the purposes stated in the UN Charter and DD was seeking to frustrate that purpose. Therefore, the Court came to the view that: “an attack against ISAF is, in principle, capable of being an act contrary to the purposes and principles of the United Nations”. The final question for the court was the appropriate standard of proof where it is proposed to exclude an asylum-seeker from refugee status. Article 1F requires that there be “serious reasons for considering that” the individual has been “guilty of” the acts referred to in Article 1F(c). The case of Bundesrepublik Deutschland v B and D in the Court of Justice of the European Union (decided after the Court of Appeal decision in Al-Sirri) reaffirmed that individual consideration of the facts of the case was required and held that mere membership of a terrorist organisation was not of itself sufficient to found a decision to exclude. The facts of Al-Sirri’s appeal brought the issue of the appropriate standard of proof into sharp focus. Al-Sirri had previously been indicted at the Central Criminal Court on a charge of conspiracy to murder General Masoud but the Common Sergeant decided to dismiss the charge on the basis that the evidence was as consistent with his innocence as with his guilt (the remaining charges were dropped for other reasons). The Court of Appeal previously rejected Mr. Al-Sirri’s argument that the words “guilty of” imported the criminal standard of proof beyond reasonable doubt. In the Supreme Court, he instead argued that it is not possible to have “serious reasons for considering” a person to be “guilty of” a particular act unless you are satisfied that it is more likely than not that he did it. He pointed to the decision of the Common Sergeant to dismiss the charge against him as demonstrating that this standard of proof had not been met. The Supreme Court found that the Article 1F(c) had an autonomous meaning independent of any domestic standard of proof; the task of the decision-maker was to apply the words of the Convention to the facts of the particular case. The wording of Article 1F(c) has been criticised as being too vague, particularly in light of the potentially severe consequences for an asylum-seeker of a decision to exclude. The variety of academic viewpoints and the arguably inconsistent international case law on the issue supports such criticisms. 1. “Serious reasons” is stronger than “reasonable grounds”. 2. The evidence from which those reasons are derived must be “clear and credible” or “strong”. 3. “Considering” is stronger than “suspecting”. In our view it is also stronger than “believing”. It requires the considered judgement of the decision-maker. 4. The decision-maker need not be satisfied beyond reasonable doubt or the standard required in criminal law. 5. It is unnecessary to import our domestic standards of proof into the question. Although the Court was not prepared to import domestic standards of proof into the question, it stated: “The reality is that there are unlikely to be sufficiently serious reasons for considering the applicant to be guilty unless the decision-maker can be satisfied on the balance of probabilities that he is. Al-Sirri will doubtless consider this a positive indication for his prospects of success in the Tribunal. The Supreme Court’s decision strongly supports the existing approach to the exclusion clauses, which is to interpret them narrowly and apply them restrictively. By emphasising the requirement that there should be “a serious effect upon international peace, security and peaceful relations between States”, the Court is seeking to ensure that Article 1F(c) is used by States only in “extreme circumstances”. The Court’s insistence that States are not free to adopt their own definition of terrorism for the purposes of refugee law is important. It will help to prevent further abuse of the exclusion clauses by States wishing to interpret them broadly and apply them widely as a “counter-terror” strategy. The issue of the appropriate standard of proof is crucial, not least because of the comparative paucity of evidential and procedural safeguards in exclusion cases. The Court’s guidance for interpreting the vague wording of Article 1F(c) will be welcomed by decision-makers but it is unfortunate that the Court did not feel able to reject outright and in clear terms a standard of proof falling below the balance of probabilities. Leave a reply on "Case Comment: Al-Sirri v SSHD; DD (Afghanistan) v SSHD"